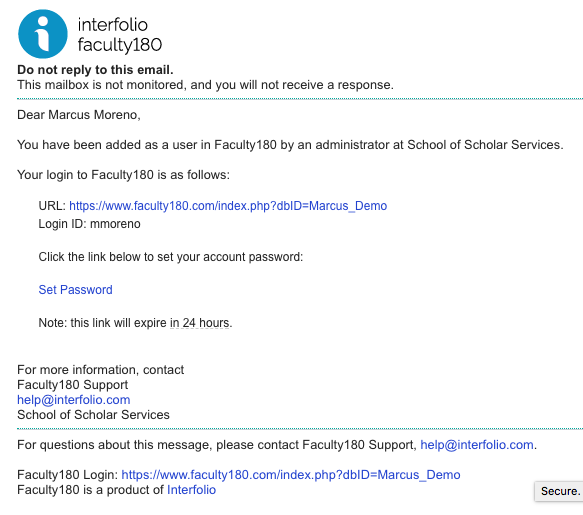 With this update, we have clarified the language of the automatic e-mail message that is sent to faculty members when they are setting their password during the user setup process. New users will no longer receive an e-mail request to “reset” their password, which they have not yet set, and will not be redirected to the reset password page to set their password for the first time. If the institution does not allow your users to manage their own credentials, then this change is not relevant for your institution. 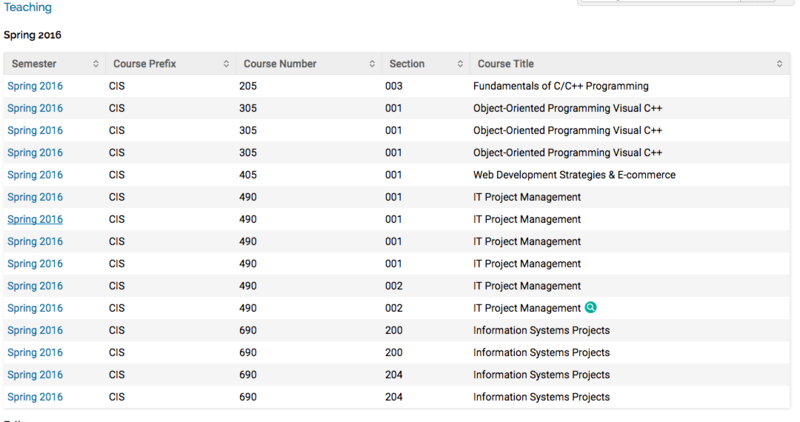 We have updated how grouped courses are displayed in a faculty member’s vita. Previously, not all attachments for courses within a group showed correctly when the user clicked the relevant hyperlink in the Teaching section of a vita output. Attachments for “secondary” courses in the group were only accessible by checking the course details in the Activities tab. All attachments for all courses within the group will now be accessible via a hyperlink in the vita output. Initiated activity input forms collect a subset of data on the form itself, including some numerical data related to Teaching and whether an activity is ongoing, rather than in the add or edit activity screens. Previously, changes to this data would be lost if a user took an action causing a page refresh (e.g., adding or editing an activity) without first clicking the Save and Go Back button. With this update, changes to these data will be preserved in the browser through any action that causes a page refresh to ensure users do not have to re-enter information. With this update, the format of the tabular output for the default Advising Load section has been consolidated for a more viewer-friendly experience. The information will now be presented more succinctly and will eliminate needless references to empty sections. All release notes prior to 2017 are now under the heading 'Archived Release Notes'. They can be found on the same page after navigating through the 'Help for Administrator Users in Faculty180' section from the homepage. 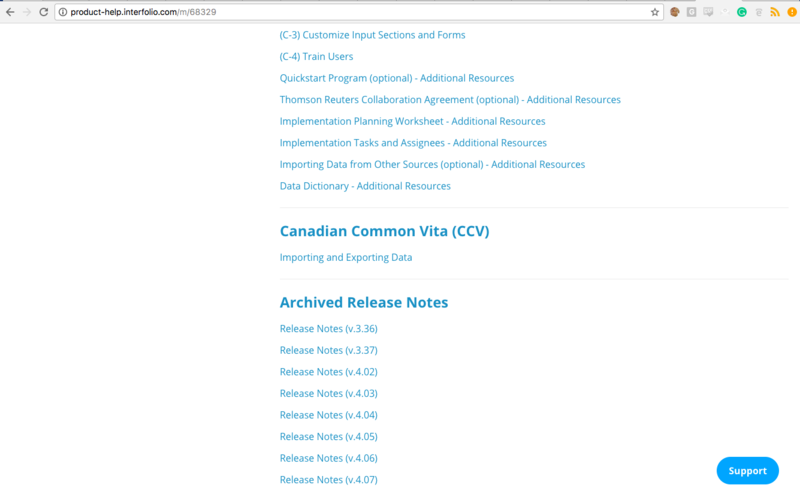 Scroll to the bottom of the page to reference the archived release notes.